Making huge profits with a tiny list is not only possible, it’s something I have come to be known for on the internet! 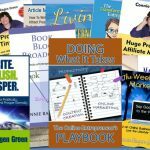 My name is Connie Ragen Green, and I’ve been making a full time living online since 2006. I have successfully built a lucrative income with a very small list. In fact, I was earning six figures a year long before I had one thousand people on my list, and I can teach you how I did this by following some simple marketing strategies based on affiliate marketing, product creation, and joint ventures. 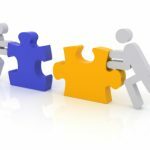 I am now a list relationship coach, helping others to build a relationship with the people on their lists in order to increase their online income. The mission of this site is to teach you how to monetize your list, no matter how small it is. I will share what has worked for me, and welcome your comments and suggestions for what other information you would like for me to share with you. Even though it is important to be continually growing your list, you certainly do not need a huge list in order to make an excellent living with your online business. Thanks for being here, and be sure to sign up on the right to receive an email notification when I write a new post twice each week. 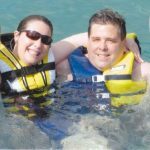 Feel free to leave a comment on any post that resonates with you, and share your own experiences about making big money with a tiny list. All of my books on topics of entrepreneurship are now available. Find out more by visiting my author page on Amazon or Barnes & Noble to order your copy today. It is my hope that you will join me on your journey of turning your ideas, interests, and passions into a lucrative online business. 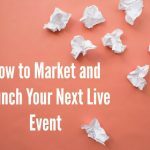 The first Weekend Marketer Live Workshop was in October in Las Vegas, and was so well received that I hosted two more – one in April of 2014 and the third one in October of 2014. During 2015 I moved my live event to Los Angeles, and in 2016 and 2017 it was held there during April and October and then hosted in Santa Barbara during the first week of November as a Retreat Workshop. My Next Live Event Will Be in Los Angeles during September of 2019. The Focus is “Clarify Your Message, Enlist Your Tribe” and Details Will Be Available Soon. 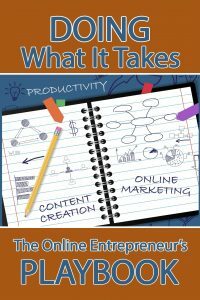 My popular book, Doing What It Takes: The Online Entrepreneur’s Playbook was recently released. This book is the culmination of everything I have learned since coming online in 2006. 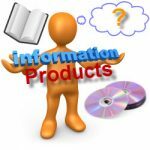 Join my list to receive information on this and other topics by typing in your name and primary email address in the box on the right hand side of this site. My newest book is now available! 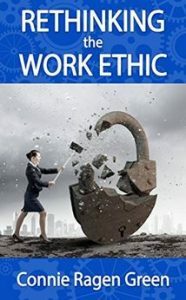 It’s called Rethinking the Work Ethic: Embrace the Struggle and Exceed Your Own Potential. 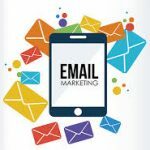 I just started building my email list and bookmarked your site for some useful tips on list building. I wish I would have started a long time ago, but was a little scared on it. You look like you are doing very well with your list. Susan – thanks so much for stopping by to leave a comment. We must start from where we are; list building is a process we go through day by day, building relationships one person at a time. I try not to get discouraged that I didn’t “get” this a long time ago, but so happy to have found your “can do” training, Connie. Connie, I just wanted to tell you that I love your podcasts! 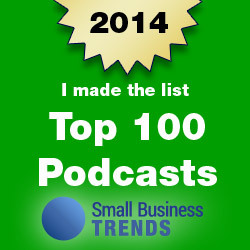 I learn something from every one I listen too and you have some of my very favorite people on as guests such as Nicole Dean, Melissa Ingold and of course Kelly McCausey. Thank you for being such an inspiration to me in my business. I love you! Thanks so much, Celene. I agree that Kelly, Nicole, and Melissa are very special people. Just wanted to say that I am totally enjoying your Podcasts and you have given me several great tips which I am busy putting into action. 1. Was to outsource some of my content creation, done and you know it feels good to hand some of the work off. 2. 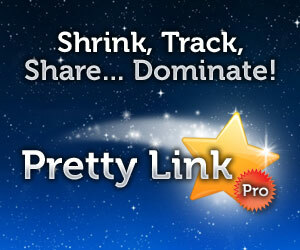 Installed and using Pretty Link for my affiliate recommendations. Had a few issues with FB not liking my links when I tried to post on one of my fan pages. Think it was just a FB thing as a few people said they have been having trouble with not being allowed to post links on their pages. 3. Consolidated two blogs into one, or rather am in the process of doing that right now. Once I have my main one the way I want it will go back and work on the other. Am currently working on improving my site in between writing for my clients. So far so good and am also taking part in a 30 day Article writing challenge so I can add more posts to my blog. Looking forward to making the end of this year a great one! Hope to connect with you when you visit Toronto next spring. 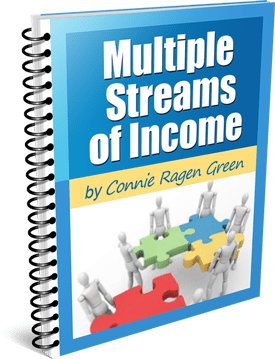 Your book and Weekend Event has shown me a different way to create a new stream of income. I have always been a believer in order to succeed in doing something you must find what you are passionate about and love. Whether the plan is perfect or not you must take action and find someone like yourself that is successful and offers a weekend event filled with a uplifting surrounding of entrepreneurs to network with and learn from those that are living the life of freedom. New doors have been opened to mentors jv partners and new friends that all share the same in common. Great success to come from you, the event and your presenters. Easy to follow directions to make it all happen. So glad you are are a part of the Weekend Marketer workshop this weekend, Tracy. Your contributions are making a difference for all of us. Connie, your emails, your podcasts and your books have inspired me to start yet again. I’ve had limited success in the past with my online endeavors, however, I let them go. I plan to re-read everything so this time I can, in some small way, emulate you. Merry Christmas. Sorry we didn’t get to meet in NYC while you were here. 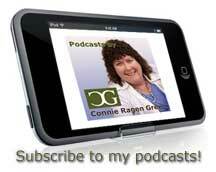 Without question Connie you are one of the most practical IM experts around. I appreciate your emails, blogs and podcasts. For those of you who haven’t signed up for one of Connie’s skill-building programs, I’d encourage you to do so. Great value! Thanks! Connie, you were my very first touch into doing anything online. It was in Vegas in 2010. I got my own blog up and running before we met for a follow up in Los Angeles in March. Hard to believe it took me THAT long! LOL Then, on the way to Vegas, you told me to write my first article and submit it to eZineArticles.com By time time I left Vegas, it was posted and live. You told me it would change my life. It did. 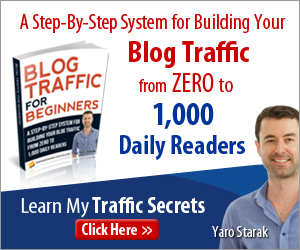 Now, 1000’s of articles later, and at a solid 6 figure business, I will always stay connected to you. Merry Christmas, and thank you for being you! Thanks so much for your kind words, Ellen. Looking forward to your great success in 2015! Connie, I hadn’t looked at Huge Profits for a while. This XTheme re-work is great! Very easy to read — even though there are many things to see. I really like the result! I just want to tell you that I LOVE your podcasts. Every time I listen, I learn so many useful things and most importantly thank you for the inspiration!! !